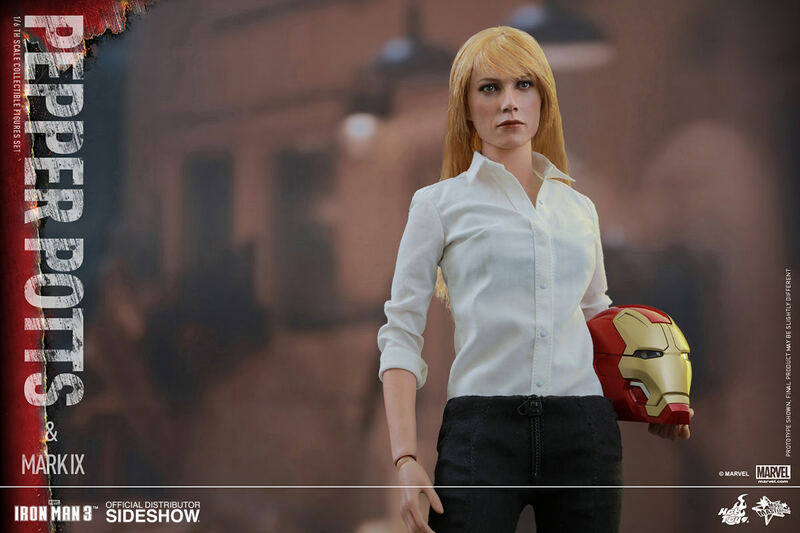 Hot Toys have finally revealed Pepper Potts into their 1/6 scale universe! 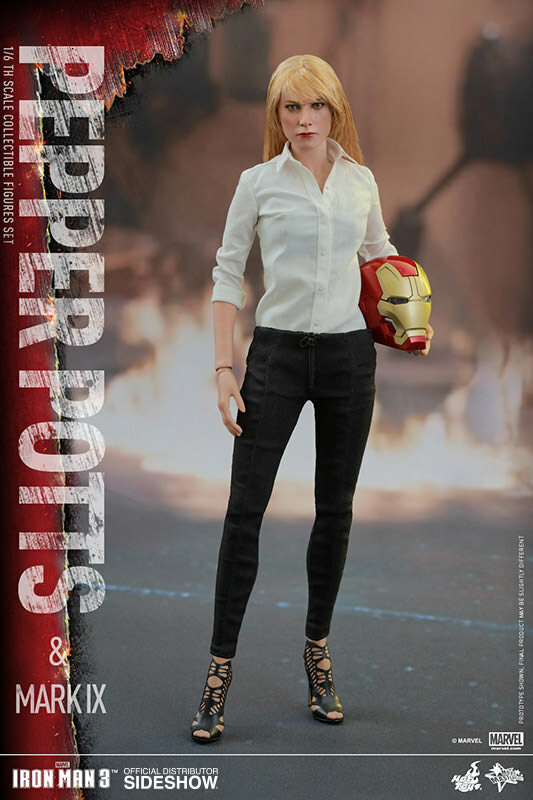 Straight from Iron Man 3 film, Pepper Potts will come with several armor parts that she will be able to equip along with alt mask revealing alternate Pepper head sculpt! 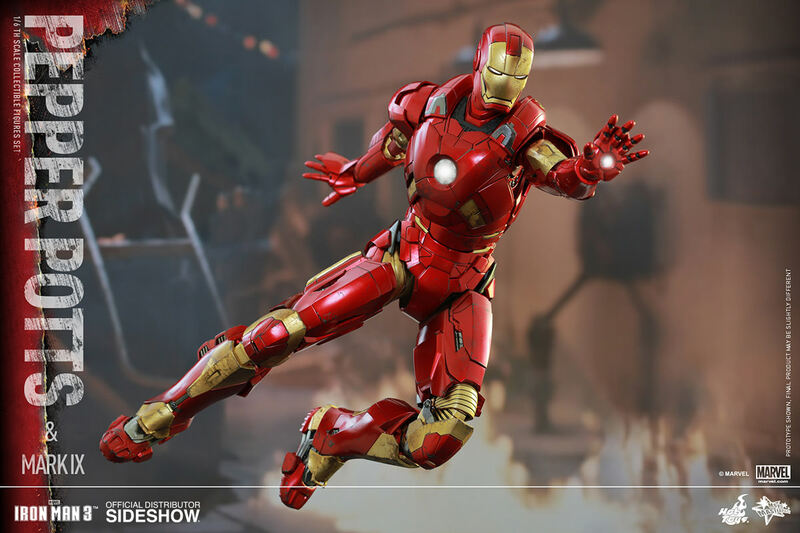 **Please note this is the "set" version which will also include Mark IX armor. 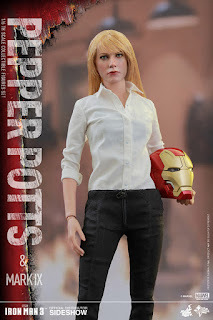 There is also another version which includes only Pepper Pots found here. 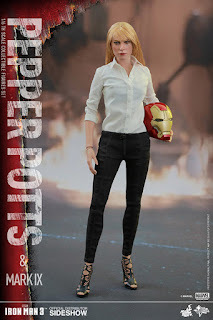 Throughout the Marvel Cinematic Universe, Pepper Potts has been a very important person in Tony Stark’s heart. In Iron Man 3, Aldrich Killian has kidnapped Pepper Potts and infected her with Extremis in order to force Tony Stark to help him eliminate the flaws within his Extremis program in order to save Pepper. 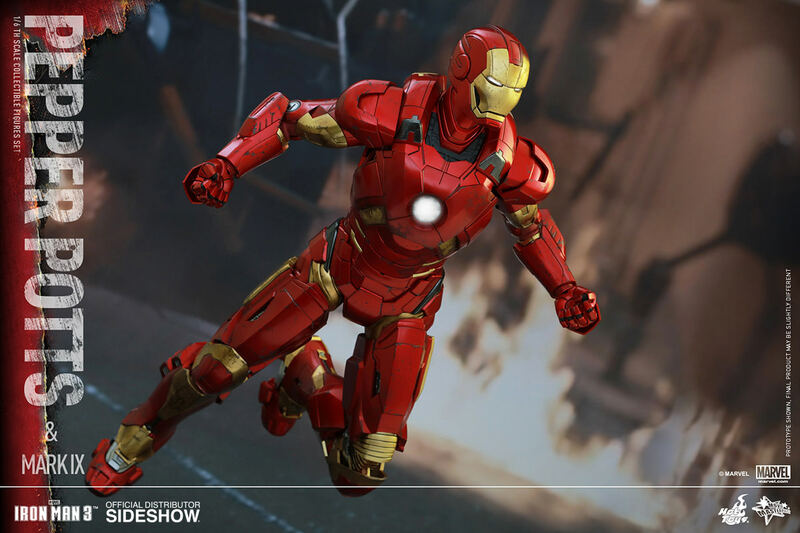 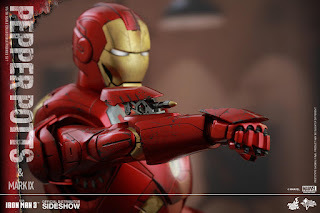 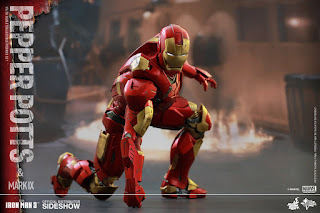 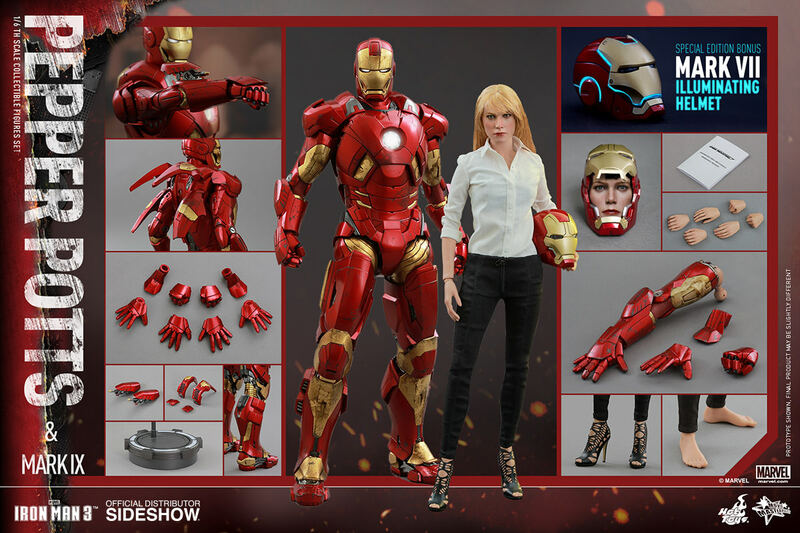 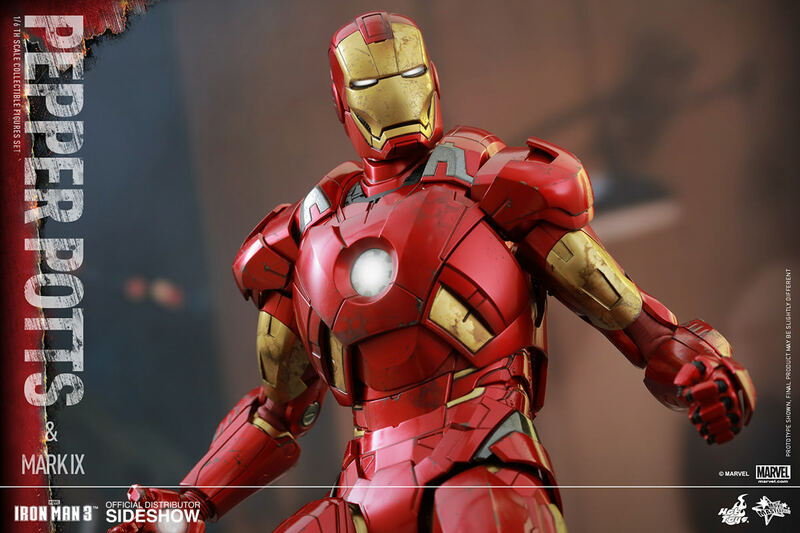 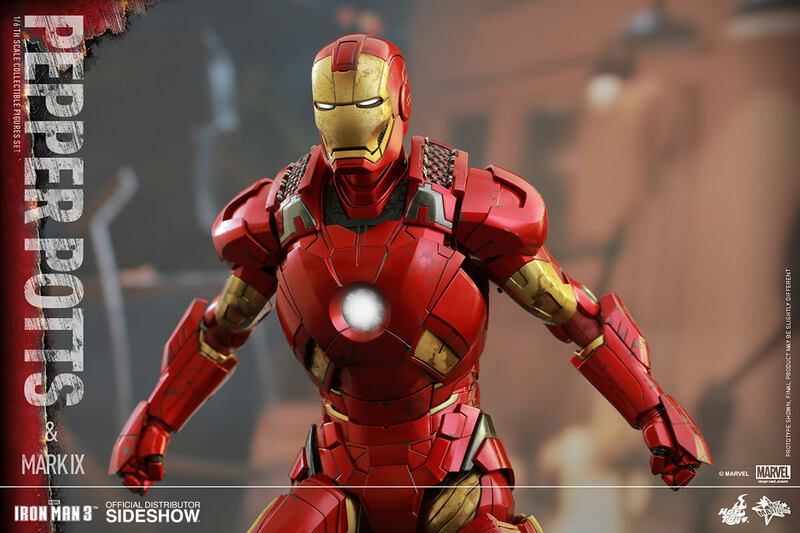 Sideshow Collectibles and Hot Toys are delighted to officially present the highly anticipated Sixth Scale Collectible Figures Set featuring Pepper Potts and Iron Man Mark IX from Iron Man 3! 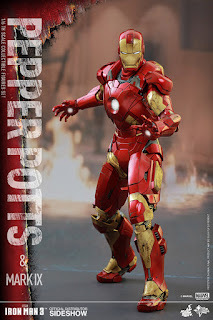 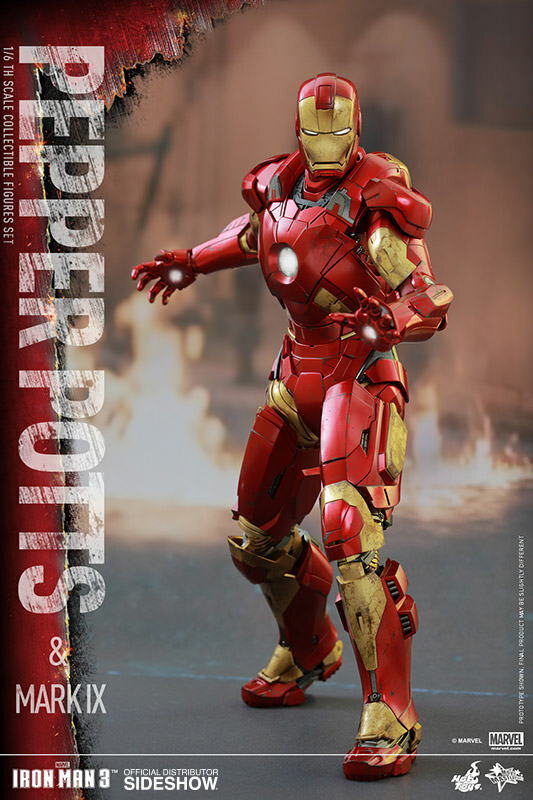 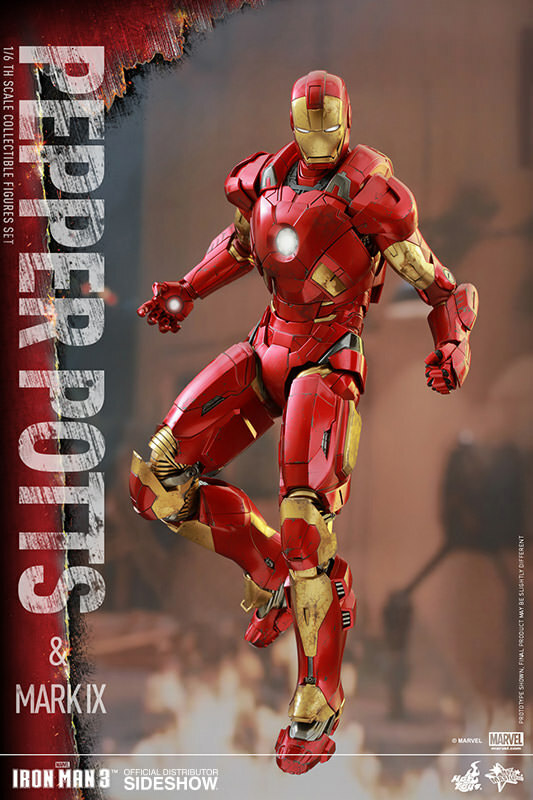 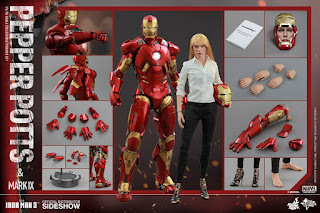 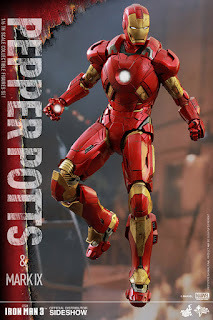 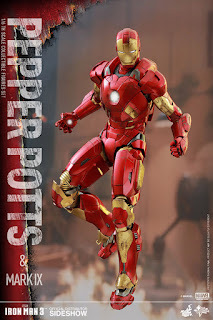 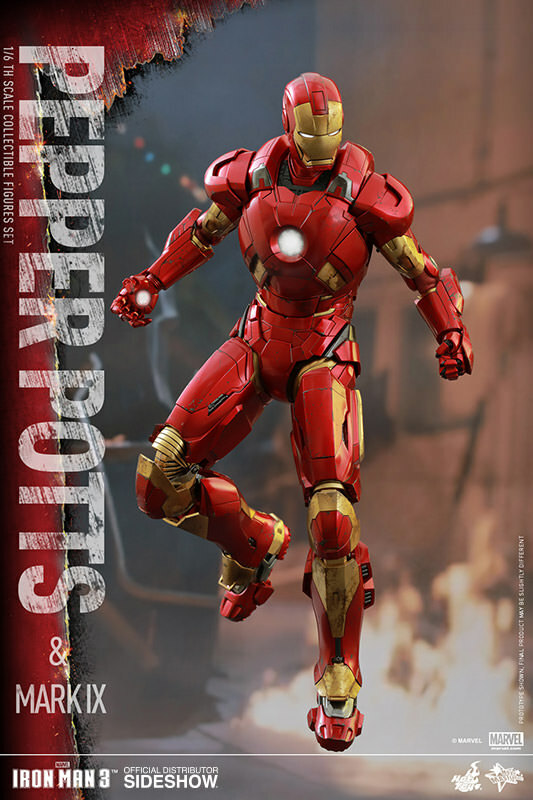 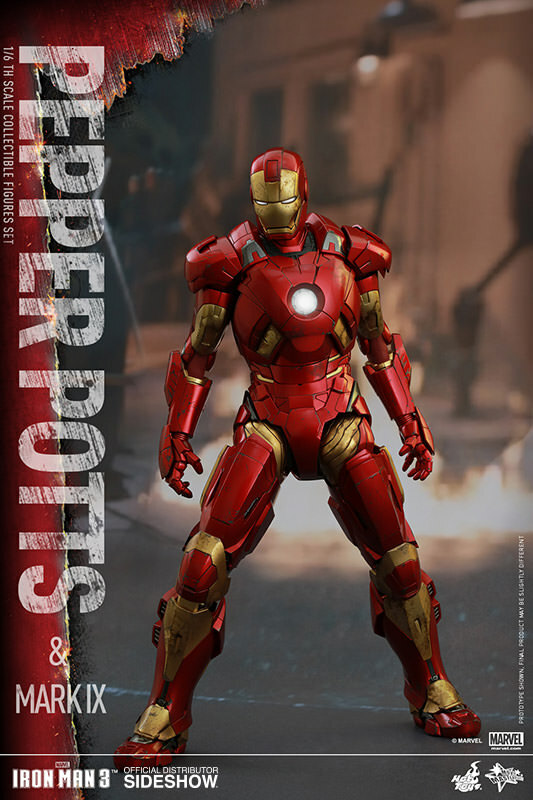 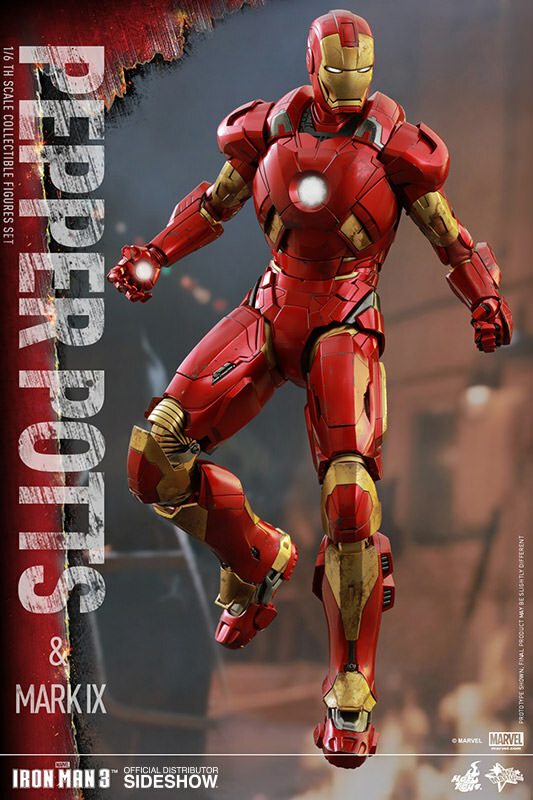 The Pepper Potts collectible figure is specially crafted based on the image of Gwyneth Paltrow as Pepper Potts in the film featuring a newly developed head sculpt with long straight light reddish-blonde real fabric hair, a finely tailored costume, an interchangeable Iron Man Mark IX right arm with LED light-up function, and figure stand! The collectible figures set will exclusively include a Pepper Potts in Mark XLII helmet head sculpt interchangeable on the Hot Toys’ sixth scale Mark XLII collectible figure!